To many car owners, washing a car by hand is an almost therapeutic moment. While some of you LOVE washing your cars every week to keep it sparkling bright, there are quite a few people who may not know how to do it properly. This includes not damaging your car’s paintwork. Here are 5 simple ways in which you can wash your car the right way. We know that some people are very excited to wipe off all that dust and grime with a cloth and a lot of soap. But hosing down your car is probably one of the most important parts when washing a car. Thorough rinsing helps ensure the removal of dust and debris, which comes with the risk of leaving swirl marks on your car. 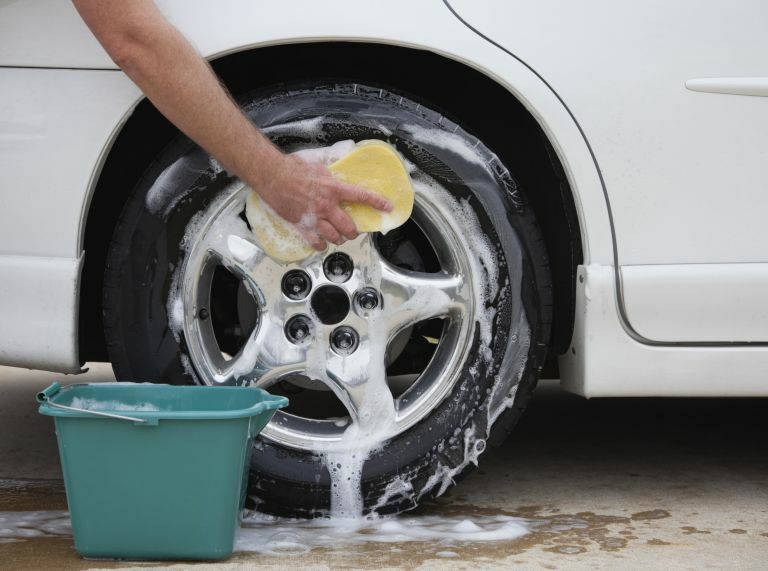 Before you start soaping it up, be sure that every bit of the car is properly hosed down, including the rims. Two is better than one. Which is why you should always use the two bucket wash method. This basically means that instead of using a single bucket of reused dirty water, you use two buckets; one for water only (rinsing) and the other for soap mixture (wash). Also, another tip is to wash your car from top to bottom, because the bottom part of the car is always the dirtiest, meaning everything will be washed downwards. No matter how cheap it is, always use the proper car wash soaps instead of whatever detergents you have around the house. 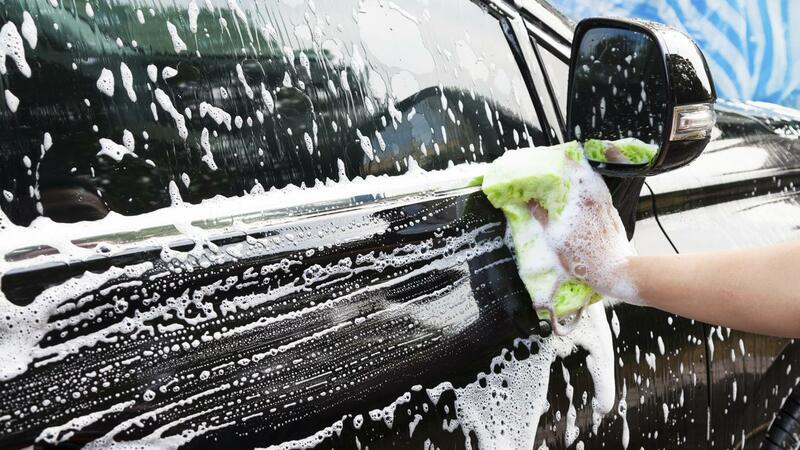 Car wash soaps are formulated specially for your car, and helps to protect the paint and protective wax layers. It’s been proven that proper car wash soap helps to keep your car’s paint looking more vibrant and new. Many people love keeping the body sparkling clean, but forget all about the rims. By keeping your rims clean and free from brake dust, you’ll be able to make your car look like it just came out from the showroom. Remember to check up on your type of rims so that you can use the correct rim cleaning materials, which may contain chemicals that are harmful for your specific rims. You can also opt to use regular car wash soap and a rim brush for the same effect. Once you're done soaping and rinsing your car, remember to use a flannel towel to wipe it down. The proper way to do this is to throw your flannel towel over flat surface areas and slowly pull it toward you across the surface of the car. One of the biggest mistakes that people often do is that they twist the towel dry and continue wiping down the car. This is wrong because the towel is not completely clean. Always use a bucket of water to rinse the towel before you dry it again. And that is how you should always properly clean your car. Did you like these tips? Leave a comment below!